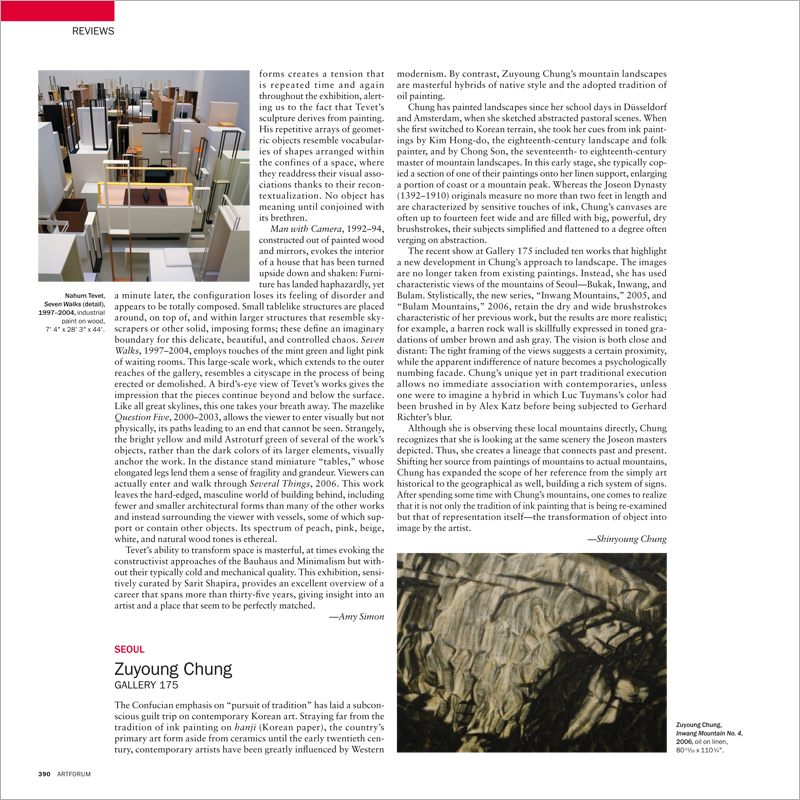 The Confucian emphasis on “pursuit of tradition” has laid a subconscious guilt trip on contemporary Korean art. Straying far from the tradition of ink painting on hanji (Korean paper), the country’s primary art form aside from ceramics until the early twentieth century, contemporary artists have been greatly influenced by Western modernism. By contrast, Zuyoung Chung’s mountain landscapes are masterful hybrids of native style and the adopted tradition of oil painting.